The candidate of the All Progressives Congress in the just concluded governorship election in Bayelsa State, Timipre Sylva, on Monday said he would challenge the result of the election in court. The Independent National Electoral Commission had on Sunday declared the candidate of the Peoples Democratic Party, and incumbent governor of the state, Seriake Dickson, winner of the election. Addressing journalists on Monday, Mr. Sylva alleged that INEC and the PDP worked in concert to rig the election in favour of the PDP. He said he had officially complained, prior to the election, that the present structure of INEC in the state would not conduct a credible election. According to him, the INEC officials were assembled by the immediate-past administration to deliver the state to PDP in last general elections. “I said in the beginning that I do not have confidence in the REC and the Administrative Secretary, that I do not expect a fair treatment if these people were to preside over the election. “I said so over and over and over again. I even reduced it to writing, and we sent the petition. Usually before elections of this nature, INEC officials are switched. “But this time, they chose to keep this team that was already in place set up by the PDP as rigging machine. “This was the same team that returned almost 100 percent of all votes in Bayelsa to the former president. “And we felt that these people could not have given us a free and fair treatment. But unfortunately, our cries fell on deaf ears. Yesterday, they proved themselves true to type,” he noted. Mr. Sylva argued that the election could have been further declared inconclusive since about 53,000 votes were still outstanding as cancelled votes. He said in places where APC won, results were cancelled, but where PDP won, the results were entered. The former governor further alleged the rigging started from the distribution of materials, noting that election materials were diverted as they were taken to voting centers by vehicles provided by the PDP. According to him, the same set of collation officers, and other officers used in the December election were used on Saturday’s election, a situation he said aided the rigging process. 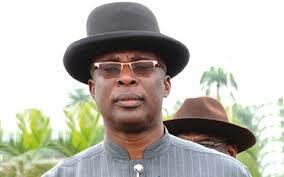 Mr. Sylva maintained that in any free and fair election in Bayelsa State, the APC would always win. He appealed to the supporters of the party to keep calm.